Mac OS does not have the Add/Remove Programs utilities unlike the Windows platform. This feature in Windows platforms allows the user to uninstall the programs easily in their system. In Mac OS, uninstalling the applications is quite simple you just simply move the application to the Trash but then this do not uninstall programs on Mac completely. But before you start uninstalling the programs on your Mac computer you need to know the two types of applications that are running in your computer. The bundles programs that can be uninstalled easily by moving them to the Trash bin and the unbundled programs that can be removed also through the Trash bin but it needs more additional manual work to completely remove it from the system. This type of programs leaves other settings and files that may still take the space in the hard drive. This should be removed in your computer to ensure that the application is completely cleared out. Getting rid of shortcuts, program preferences and other files that are installed in the computer is done manually in the Mac system. However, doing this might take you a lot of time thus it is better to use third party uninstaller applications to remove both the bundled and unbundled applications in your Mac computer as well as removing all the files associated with it. These software tools are quite easy to use with its search tools that will show you all the list of files and applications that you want to delete like the Add/Remove Tool from the Windows. You can select from freeware and open source third party applications that will help you uninstall the programs on your Mac computer without spending too much. 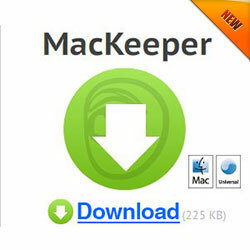 AppCleaner is a freeware uninstaller program that will uninstall the applications in the Mac computer. It even detects the files and preferences that are left by the programs and then remove it completely as well. AppTrap is an open source and freeware software tool that uninstalls both the application and the supporting files, program preferences and system files that are installed in the Mac system. This also monitors all the files that were send in the Trash bin. The Mac OS X Uninstaller is also software that removes the applications in the system. This is not a freeware but you can try its15 day trial period to test it in your Mac computer without any restrictions. AppZapper is another tool that also performs like the AppCleaner. You can also try its trial version to test its features however this is not a freeware. This program will also uninstall the program in your Mac system efficiently. If you want to uninstall programs on Mac you can do this simply by moving it in the Trash bin however this will not completely remove all its supporting files and program preferences in order to efficiently and completely do this you need to use third party software that will uninstall the programs in your Mac system and there a lot of programs to choose from that comes as a freeware and open source. This entry was posted on Sunday, February 13th, 2011 at 2:47 pm	and is filed under Uninstall Mac Programs. You can follow any comments to this entry through the RSS 2.0 feed. You can leave a comment, or trackback.